Dr. Jonathan Pevsner, Ph.D., professor and research scientist at the Kennedy Krieger Institute it's chief scientific officer is SWF's Chief Scientific Officer. Dr. Pevsner's Laboratory studies the molecular basis of childhood and adult brain disorders. The research focuses on Sturge-Weber Syndrome (SWS), autism spectrum disorder, bipolar disorder and schizophrenia. In 2013, The New England Journal of Medicine published Pevsner's team findings of a somatic mutation that causes SWS and port-wine birthmarks. The study revealed a nucleotide transition in gene GNAQ on chromosome 9q21. This was achieved by using whole genome sequencing, and the team is currently using biochemical approaches to understand the consequence of this mutation. Dr. Pevsner also holds a primary faculty appointment in the department of Psychiatry and Behavioral Sciences at the Johns Hopkins University School of Medicine. "Dr. Pevsner brings not only an impressive scientific track-record to the SWF team but an uplifting team spirit. We are tremendously excited with the addition of Dr. Pevsner as Chief Scientific Officer," stated Karen L. Ball, SWF President and CEO. "We anticipate that Dr. Pevsner will build a collaborative cadre of united researchers who will set bold goals as we work on behalf of the individuals living with SWS." "I am thrilled to be named the chief scientific officer of the Sturge-Weber Foundation," said Jonathan Pevsner, Ph.D. "I share the passion and vision of The Sturge-Weber Foundation's goal to positively impact the lives of the patients and families with SWS and strengthening the strategic direction for the SWS Community." Dr. Jeffrey Loeb, MD Ph.D., is the SWF Chief Scientific Strategist. Dr. Loeb is the John S. Garvin Chair, Professor and Head of the Department of Neurology and Rehabilitation of the University of Illinois in Chicago, is a unique physician-scientist with an impressive basic and translational research pedigree and program. 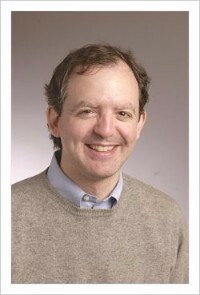 He has combined MD and PhD training in membrane protein structure from the University of Chicago. He advanced the understanding of neuregulins in nervous system development when he was a junior faculty member at Harvard Medical School under Gerald Fischbach. Additionally, Dr. Loeb has advanced training in clinical neurology and epilepsy at Massachusetts General and Beth Israel Deaconess Hospitals. He has pioneered a one-of-a-kind clinical and translational research program first at Wayne State University in Detroit and now at the University of Illinois in Chicago where is has founded the University of Illinois NeuroRepository. The NeuroRepository uses systems biology to integrate and mine big data on individual patients with epilepsy encompassing clinical, electrophysiological, imaging, histological, and molecular high throughput data (genomics, proteomics, and metabolomics). This has led to ground-breaking discoveries and a new computational approach to understand human brain disorders in humans. He continues to translate his work on neuregulin signaling and develop a patented biopharmaceutical to slow microglial responses to neuronal injury and slow neurodegeneration. Through his active clinical pursuits, he has pioneered the use of bisphosphonates to treat brain disorders associated with calcifications. Dr. Loeb has a passion for his patients not only in the neurology clinic where he actively tackles challenging epilepsy patients, but through cutting edge translational research programs, and extensive outreach to the community. He serves on the Board of Directors for the Epilepsy Foundation of Greater Chicago and on the professional advisory boards of both the Chicago chapter and the national organization. Dr. Loeb travels to Peru on a regular basis for research on neurocysticercosis and its associated brain calcifications. This interest has led him to form a Sturge-Weber Center of Excellence at the University of Illinois in Chicago that cares for both children and adults. 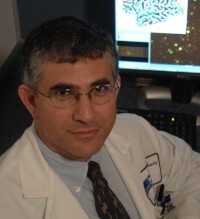 In this role, together with Dr. Jonathan Pevsner, Chief Scientific Officer, Dr. Loeb has been charged with moving the Foundation forward to develop a comprehensive data and tissue repository, develop translational tools between basic and clinical scientists, and push forward new therapeutics for patients with Sturge-Weber Syndrome.